British Racing is all set to promote the sport’s high standards of equine welfare on Tuesday 23 August through The Horse Comes First’s annual national raceday. Working in conjunction with the racecourses at Newbury, Southwell, Great Yarmouth and Chelmsford City, who are all racing on 23 August, The Horse Comes First will be raising awareness among families and racegoers of the first class care given to racehorses both during and after their racing careers. Centre stage is Newbury Racecourse which is hosting a variety of fun and interactive activities at its Bathwick Tyres Race Evening, Newbury’s last summer evening fixture of 2016. Southwell, Great Yarmouth and Chelmsford City racecourses will also be celebrating the national raceday. Representatives of The Horse Comes First will be joining in with the activities across all four racecourses and engaging racegoers with the high standards of equine welfare across the sport during the afternoon and evening race meetings. The Horse Comes First will be putting on Newbury’s first painted horse display – former racehorse Knight Pass will have the anatomy of a thoroughbred painted on his body, and Newbury Racecourse’s vet Alistair Welsh will explain to racegoers how a horse’s organs operate to provide the power which enables the thoroughbred to gallop at speeds of around 40mph over a sustained distance, and why the breed is unique amongst animals. Families and racegoers at Newbury will also be treated to a Retraining of Racehorses (RoR) Parade of former racehorses who are now excelling in different equine disciplines including showing and eventing. Racing to School and Careers in Racing are holding an interactive educational event with the Pony Racing Authority, and 2014 Godolphin Stud & Stable Staff Employee of the Year Leanne Masterton will be joining in with the day’s activities and speaking to Racing to School’s groups and racegoers about her fantastic career and her dedication to providing first class care to racehorses. Neil Parish MP, the Chair of the Environment, Food and Rural Affairs committee will also be visiting Newbury Racecourse on the day, and will have the opportunity to take part in the activities that Newbury has to offer during the evening. Tuesday 23 August marks the third annual The Horse Comes First raceday, which has previously taken place across Hamilton Park, Newmarket, Nottingham, Newcastle and Aintree racecourses. 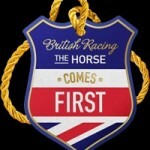 Robin Mounsey, spokesman for The Horse Comes First, said: “British Racing has a track record to be proud of in terms of the care provided to racehorses both during and after their racing career. Since 2000, over £32 million has been invested by British Racing in veterinary research and education and the sport employs over 6,000 people to give first class care and attention to the 14,000 horses in training.